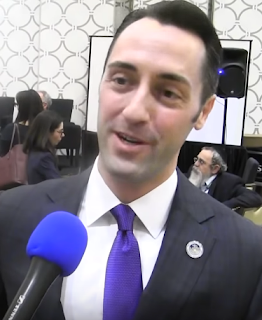 DNA exposes misconceptions in ethnicities and rivalries - Bennett Greenspan of FamilyTreeDNA.com at the AIPAC Policy Conference in Washington, Monday, 25 March 2019. 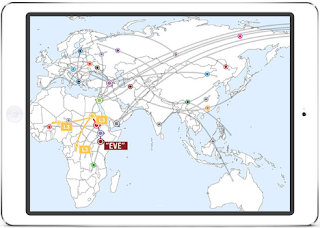 Find Your Roots: From ancient to modern history, Jews have been conquered (e.g. Roman Empire over Israel, or Mohammad's conquest of Arabian Jews), intermarried to survive (e.g., Spanish Inquisition), or for children to survive (e.g. Holocaust) parents released their children (inside or out of the country) to be raised as Christian or Catholic. Might modern Christians and Muslims have Jewish ancestry or similarities? Are Ashkenazi Jews actually diluted by mixing with Ukrainian Khazars, as anti-Zionist Israeli, Shlomo Sand alleged? Genealogy expert, Mr. Greenspan's entertaining and edifying talk reveals the hidden religious ancestry, commonality, and differences among Jewish, Muslim, Christian, and "Palestinian' peoples. Bennett Greenspan of FamilyTreeDNA provides fascinating answers to audience questions on how different DNA entered the Jewish tribes (and vice-versa) throughout history. 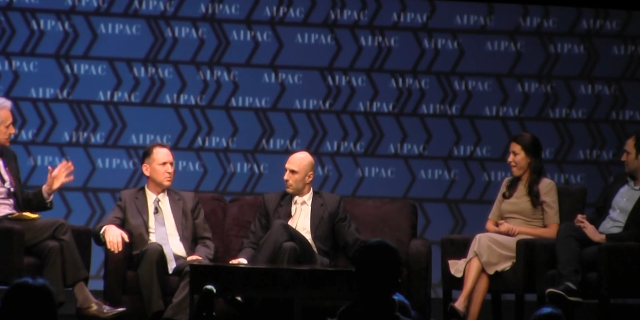 Exclusive recording of this sold-out session at the AIPAC Policy Conference in Washington, Monday, 25 March 2019. As fashion trends typically migrate from Europe's capitals to across the world, British Rabbi Lionel Rosenfeld offers a sentry's perspective on the socio-political challenges Jewry faces. The challenges confronting British Jewry, as all European Jews today face, are formidable. The anti-Semitism in the Labour Party has many British Jews worried about their future in that society. The anti-Semitic activism in London has become so ominous that the Western Marble Arch Synagogue in central London congregation, at the recommendation of city officials, have removed all Jewish identifying signage from the outside of the edifice. What motivated Marble Arch's Senior Rabbi Lionel Rosenfeld to traverse the Atlantic Ocean as the sole, orthodox British rabbi at the AIPAC Policy Conference for the past three, consecutive years? 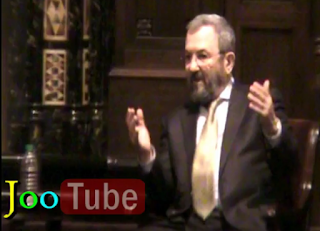 In this exclusive video interview, Rabbi Rosenfeld, the successor to Lord Rabbi Jonathan Sacks at the tony, London institution, shares both what impressed him at AIPAC, and his European perspectives on North America's, Israel's, and the European Jewish situation. 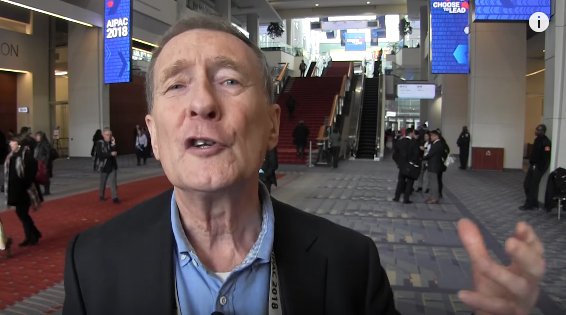 An optimistic tone at the 2018 AIPAC convention was felt during the final-year of the Republican-dominated House of Representatives term - before several 2019-appointed congresswomen (Ilhan Omar, Rachel Tlaib, and Alexandria Ocasio-Cortez) introduced "Zionophobia" (a term coined by Prof. Judea Pearl) to the Democrat-dominated House this year. How might Israeli defense against Hamas or their weaponizer, Iran, be visited upon diaspora Jewish communities? Fascists stoke anti-Israelism, he claims, which the BBC amplifies - deserving loud objection from the public. Rabbi Rosenfeld expounds on this in Part 3 of our interview. In 1964, when President Lyndon Johnson welcomed Israeli Prime Minister Levi Eshkol to the White House, he recognized that Israel and the United States “share many common objectives…chief of which is the building of a better world, a world in which every nation can develop its resources and develop them in freedom and in peace.” How has this spirit manifested itself in Israel’s interactions with other countries? Why is Israel ready – often within a few hours – to assist other nations in times of crisis, to save as many lives as possible? What are the United States and other nations learning from Israeli expertise, in areas ranging from innovation to agriculture? 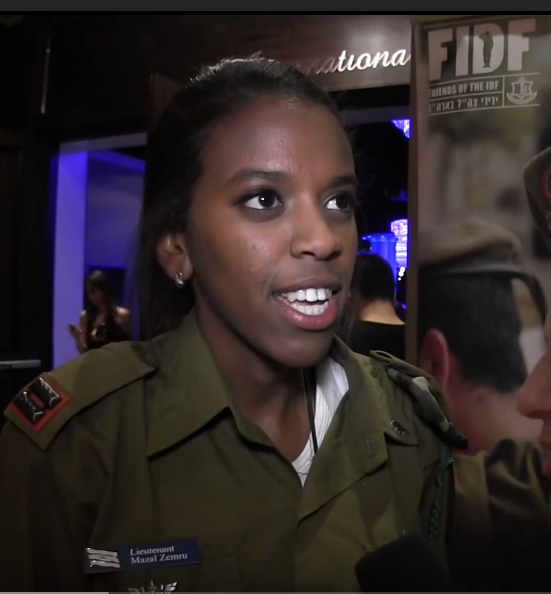 Our commentators discuss Israel’s commitment to creating a better world. Moderator Jeff Gedmin, Georgetown University, welcomes Ms. Sivan Borowich-Ya'ari, Founder and Chief Executive Officer of "Innovation: Africa"; Avi Jorisch, author of "Thou Shalt Innovate: How Israeli Ingenuity Repairs the World"; Yotam Polizer- Co-Chief Executive Officer - IsraAID ; Amb. Gil Haskel, Depty Dir of Foreign Ministry and Director of Mashav- the Israeli Agency for Int'l Development & Cooperation, and the Israeli Aid Agency. Presented at AIPAC Policy Conference on March 3, 2018. Question and Answer session continues: "The Israeli Ethos: Contributing to the World, Responding to Crises, and Saving Lives"
CBN's"To Life- How Israeli Volunteers are Changing the World"
At the National Religious Broadcasters' Proclaim Convention, CBN introduced a new documentary which their Israel Bureau produced titled "To Life- How Israeli Volunteers are Changing the World," directed by Erin Zimmerman. 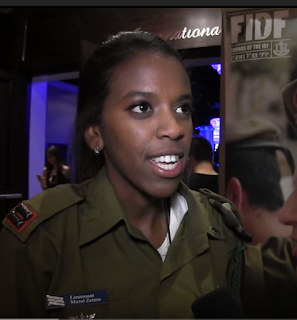 "To Life" -How Israeli Volunteers Are Changing the World" brings you an amazing look at five Israeli organizations changing people’s lives across the globe. In keeping with the Jewish tradition of tikkun olam (“repairing the world”), Israel has been at the forefront of humanitarian and disaster relief work since the 1950s, less than a decade after becoming a nation. Since then, the Jewish state has provided humanitarian aid to millions of people in 140 countries around the world. At NRB's Israel's 70th Independence tribute luncheon, we asked Gordon Robertson why CBN produces pro-Israel news and documentaries- and why theirs have consistently been the most reliably objective - - not distorted by anti-Zionist leftist propagandists, an endemic problem among mainstream international news reporters and outlets. 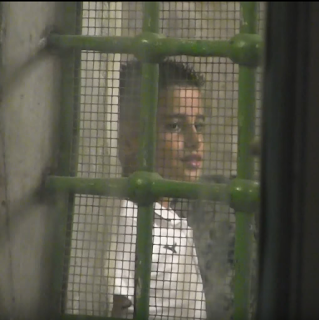 Featuring stunning cinematography and moving interviews, "To Life" follows Israeli volunteers in Uganda, Nepal, Greece, Kurdistan, and the Palestinian territories. Watch the entire five-part short-film series which aired on CBN News during April 2018. Playlist includes full 1:28 min documentary, followed by the individual segments which comprise it: 2) Innovation: Africa; 3) Springs of Hope; 4) IsraAID; 5) Israel Defense Forces; 6) Save a Child's Heart; 7) the 4-minute trailer; 8) the 1-minute teaser trailer; and 9) CBN News' previews of "To Life." At the Westwood Kehilla synagogue in Los Angeles, Greg Smith, Esq., introduces their evening program with a twist. Reformist Muslima, Raheel Raza (president of The Council for Muslims Facing Tomorrow) addresses anti-Semitism among Muslims and Reuven Firestone (PhD in Arabic and Islamic Studies and professor at the Hebrew Union College) speaks about "Islamophobia" among Jewish people. Mrs. Raheel Raza addresses anti-Semitism and anti-Israelism among Muslims, particularly in her native Pakistan. Prof. Reuven Firestone addresses anti-Islam in Judaism and attitudes among Jews. At 27:30 minutes in, the president of the San Fernando Valley Interfaith Solidarity Network, Soraya Deen, joins the panel discussion. Members of the audience poses questions and the panelists attempt to answer them. 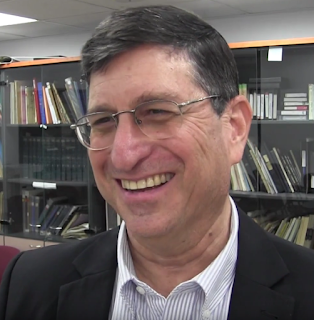 Clips from author and radio host, Michael Medved's recent conversation with David Suissa, Jewish Journal of Los Angeles' publisher- at Beth Jacob Congregation in Beverly Hills. In his final days being carried by Salem Radio, partially for opposing Donald Trump's candidacy for the GOP nomination, how does he now regard the president? Does he consider anti-Semitism triggered by Pres. Trump? Is it a bigger problem from the Right or Left? Michael Medved on liberals' bigotry towards Republican Jews Patriotic Jewish-American author and radio host, Michael Medved addresses the Jewish infighting over support for Pres. Trump. 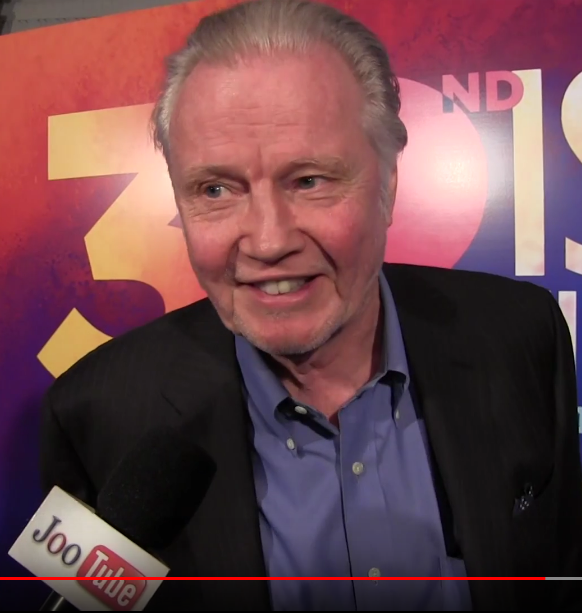 Michael Medved: Jewish-themed movies I enjoyed in 2018 (and didn't) with L.A. Jewish Journal editor discusses Jewish-themed motion pictures they liked or didn't. Mr. Medved explains what he didn't like about Steven Spielberg's "Munich." And why Zionistic movies aren't common from Israeli filmmakers. Medved will be replaced on Salem by a radio show from Sebastian Gorka. 1) Is the show still broadcasting? 1) Yes, The Michael Medved Show will continue to be broadcast live every day at the regular time on a few stations around the country. We’ll be providing the same features, the same “daily dose of debate” as always, with the smartest, most independent, most freewheeling and unpredictable talk show on the radio. 2) But for most people across the United States, the only way to hear the show going forward will be through our “MedHead” subscription service, giving you commercial-free, live or on-demand access to every hour of broadcasting, plus additional podcasts providing background, extras and personal interaction. Please remember JooTube in your year-end donating to worthy causes! What were JooTube.TV's most watched stories & videos of 2018? Conventional wisdom is no longer reliable, particularly in this era of slanted media-reportage on anything regarding Israel (colonialists), the "Palestinian people" (indigenous victims), Pres. Trump Administration (negative) or multi-culturalism (positive). Reportage of Democrat-supported, Palestinian nationalism is positive, but Jewish nationalism (residing in Judea/Samaria) is negative. Public support for Zionism or Pres. 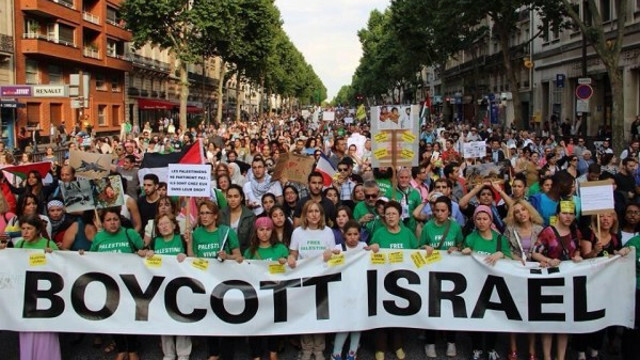 Trump's pro-Israelism (or criticism of Islamist imperialism) is scorned in education/academia, human-rights marches, high-tech (Google), social-media (Twitter, Facebook), Hollywood and the creative arts, environmentalism, and the public sector. Which is why the need for independent, Zionistic-American video-media outlets, like JewTube/JooTube remains. Since Israel's unilateral withdrawal from Gaza in 2005, we have presented an alternative perspective to the mainstream press and liberal-establishment, Jewish media. During the past year, original news video produced by JewTube /JooTube channels has been viewed nearly 1-million times. This year, we expanded onto O.T.T. (over the top) television. JooTube can now be viewed on your television (through the Lightcast App in The Israel Channel) via Amazon Fire TV, Apple TV, Google Chromecast, and Roku. We also host videos on Vimeo (the ones which enemies of Israel get stricken off YouTube) as well as now on Facebook. Due to Facebook's change in policy to now no longer playing YouTube videos in Facebook's frame, we have expanded launching videos on Facebook, where we have generated an additional 20,000+ views on our publishing page. 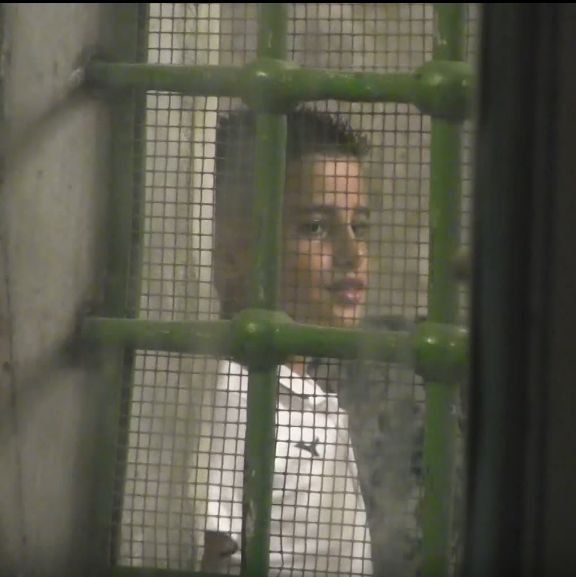 Our interview with the infiltrators of the Students for Justice in Palestine national convention at UCLA in November became part of the viral video which has attracted 146,000 views, as of this final week in December. Over the past 12-months, we traveled, gathered and disseminated news from as far as Judea, Israel, WashingtonDC, New York City, South Florida, Las Vegas, Nashville, and throughout Southern California. 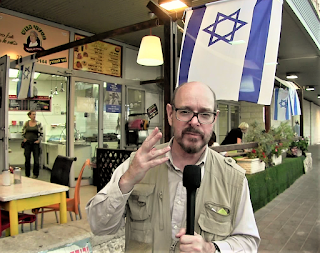 We produce this informational news initiative (which articles are increasingly reshared on others' social media channels- even localized into Hebrew and French language) essentially at a debt. It is a full-time effort for which we have deferred salaries. We rely on viewer contributions - in cash and in-kind (especially for costs of traveling) and are grateful to those who extend hospitality. But audio/video, computer equipment and automobile parts require repairing, replenishing, and replacing. Would you please help sustain our continuing to produce independent reportage of the issues which challenge the Jewish people (and the world)? To donate to enlighten towards the defense of the G-d of Israel and the survival of the Jewish people is the mitzvah of Kiddush Hashem. Please click to donate here (or from the website's right-hand column). Which do you think, out of all of of the stories in 2018, should be selected as the top story of 2018? Mention it in the Comments below. 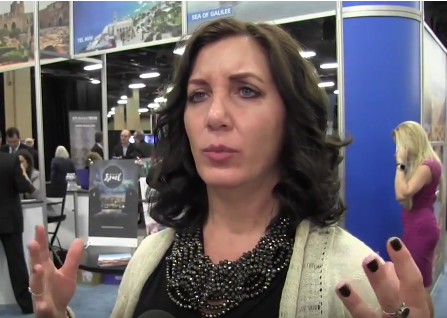 Rabbi confronts Christian proselytizing at Israeli Independence Fair in L.A. Which do you think, out of all of the videos in 2018, should be selected as the top video of 2018? Mention it in the Comments section on the website. in the Jordan Valley, promoting F.I.D.F. Hon. Stephen Tebid, an African diplomatic advisor with extensive immersion in Israel and the Jewish establishment, recognizes JooTube (and pro-democracy news initiative, DemoCast) for our lucid editorial perspective. Mr. Tebid acknowledged that every dollar contributed to the lean, astute JooTube generates an effective impact one-hundred times greater than a dollar donated to larger, more bureaucratic organization in contradicting the anti-Israel/anti-Semitic media campaign in society. Be blessed helping "B'nai Yisrael" the children of Israel, by contributing to sustain this initiative on the website (or by clicking Donate on this page. Though donations are not typically tax-deductible, arrangements may be made for amounts of $1000 or more). Actor, Hal Linden ("Barney Miller"), discusses Jewish-Americans' contributions to American culture - at L.A. Jewish Film Festival opening screening of documentary on Sammy Davis Jr's life. Mr. Linden appeared with George Schlatter, producer of NBC's "Rowan and Martin's Laugh-In"
To make a donation via check, please send JooTube a channel message via Facebook for an address. May G-d bless you and your family and protect the defenders of America, Israel, and freedom in 2019! ceremony at Sephardic Temple Tifereth Israel in L.A. Despite Muslim-led countries forcing out more than 800,000 of their own Jewish citizens, they continue to refuse to assimilate 3-generations of 1948-Muslims who fled Israel during the Arab invasion of Israel. 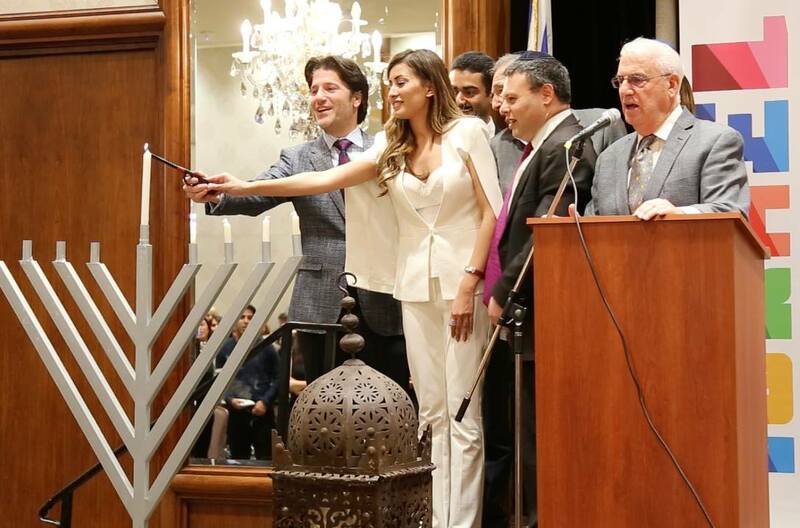 Los Angeles' Sephardic Temple Tifereth Israel on December 4th commemorated the new, Israeli holiday commemorating Jewish refugees from Arab and Persian Lands. 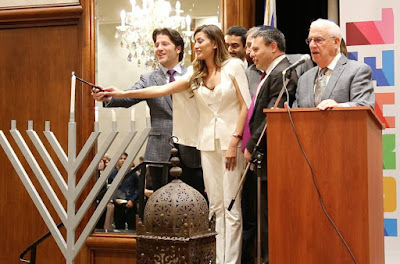 The program was organized by the Israeli Consulate to the Southwest US with partners JIMENA: Jews Indigenous to the Middle East and North Africa, 30 Years After, and the Iranian American Jewish Federation. Israel and the Jewish world remember the fate of more than 850,000 Jews who were forced out of Arab countries and Iran in the 20th century. The Day to Mark the Departure and Expulsion of Jews from the Arab Countries and Iran was established four years ago by the Israeli Knesset, designating Nov. 30 as a day to remember the tragedy of Jewish people who were forced out of the countries where they had lived for millennia - because of their Jewish identity. Many Jews suffered from violence and persecution, and pogroms began in 1941 with the Iraqi "Farhud" in concert with German Nazis. The date was chosen because it is the day after the United Nations adopted a plan to partition Palestine in 1947. Nov. 29 is also the UN-designated International Day of Solidarity with the Palestinian People. Thousands of miles from Thailand, where the new Miss Universe was being crowned last week, the former Miss Iraq is light years from last year’s pageant, when a selfie controversy erupted over a charged selfie with Miss Israel. “Peace and Love from Miss Iraq and Miss Israel” was the Instagram entry seen around the world, nearly sparking an international incident. Despite ongoing death threats — including from Hamas — Idan says she’s still tight with Miss Israel, who she FaceTimes and texts regularly. In recent weeks, Idan begged Miss Israel to seek safety as mortars were raining on Israeli civilians. It’s all part of the work she does for her LA-based organization, Humanity Forward. 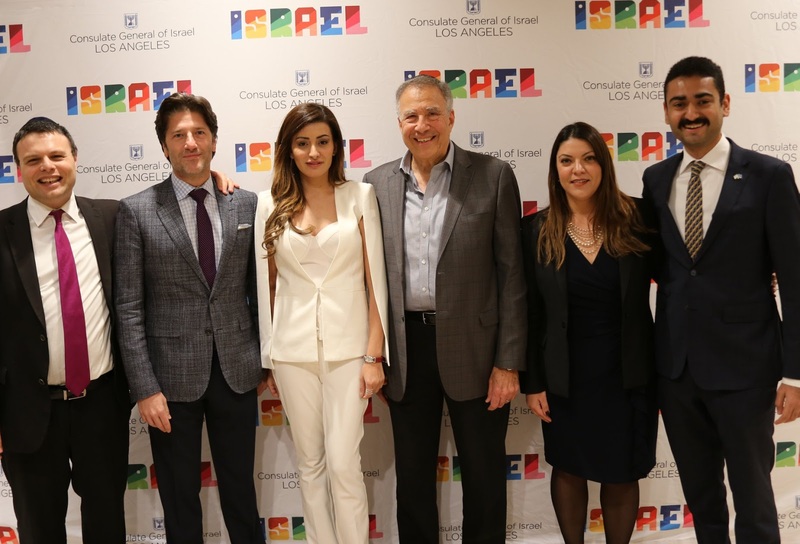 She even visited Israel in the spring to speak about the importance of dialogue and better relations, and the LA Consulate of Israel hosted her recently to speak on the history of Jews in Iraq. Here is Ms. Idan's speech, empathizing with Jewish refugees of Nazi-aided Iraq. Also on this video-playlist of speeches from the event, please watch: Larry Clumeck, Jewish-Egyptian survivor of The Six-Day War discussing Nazis advising Egyptian imprisoners of Jewish civilians, such as his father; Karin Pery (Israeli Consul to SW USA for Public Diplomacy); and JIMENA West Coast chief, Nathaniel Malka. Current research estimates that the number of Jews living in Arab countries and Iran totaled more than 850,000 at the time of Israel’s independence. Some scholars even think the number is closer to one million. In the North African region, 259,000 Jews fled from Morocco, 140,000 from Algeria, 100,000 from Tunisia, 75,000 from Egypt, and another 38,000 from Libya. In the Middle East, 135,000 Jews were exiled from Iraq, 55,000 from Yemen, 34,000 from Turkey, 20,000 from Lebanon and 18,000 from Syria. Iran forced out 25,000 Jews. In May 2018, Students Supporting Israel at UCLA put on a club lecture featuring Jewish, Kurdish and Armenian people presenting their connection to their lands. Watch how Students for Justice in Palestine menaced and threatens the presenters and attendees, vandalized their personal property, and maliciously took-over the event. To avenge SJP's busting-up SSI's "Indigenous Peoples United" Event at UCLA in May, leaders of Students Supporting Israel infiltrated the highly-guarded Students for Justice in Palestine conference - to unfurl an Israeli flag on-stage. Rudy Rochman, founder of Coumbia Univ's "Students Supporting Israel" counters "Students for Justice in Palestine" convention at UCLA the obvious history that Jews living in Judea can't be considered occupying as they are the INDIGENOUS people of Judea. 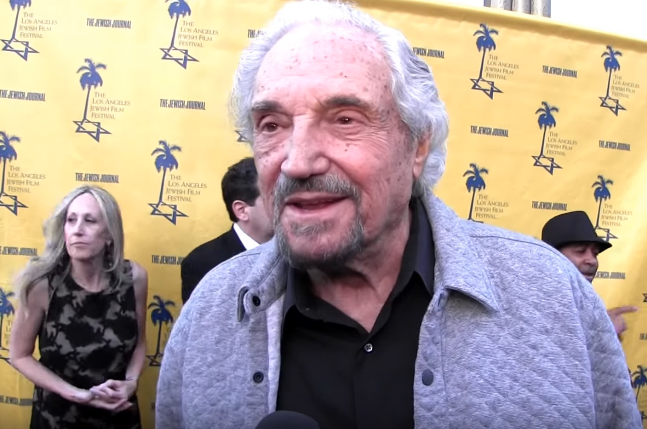 Watch Part 2 of interview exclusive with Rudy Rochman, which his group garnered more than 100,000 views with on Facebook. IDF "Reservists on Duty" Yair Eliash stands outside anti-Israel SJP (Students for Justice in Palestine) National Convention seeking dialogue, public or private, to address the differences between what each side sees first-hand. 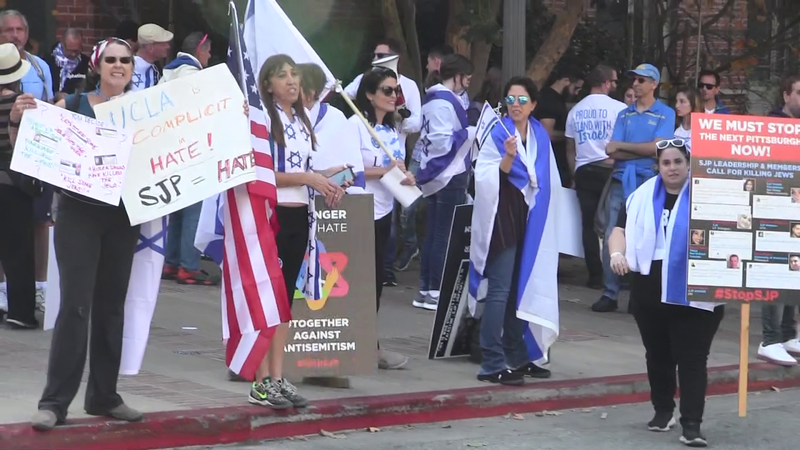 North Americans are now fighting in common cause with European Jewry against Leftist anti-Semitism cloaked in anti-Israelism, particularly noticeable on-campuses. 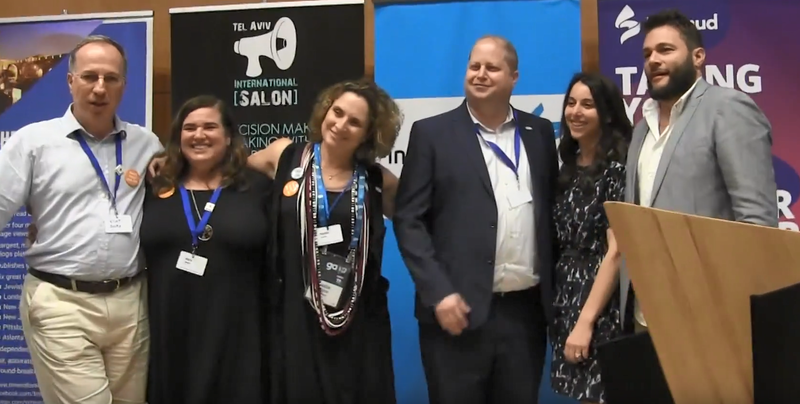 See presentations from first Limmud Israel:Tel Aviv at Night conference, "The Shared Destiny of the Jewish People"
Israeli decision makers and thought leaders came together on October 22, 2018 for the launch of Limmud Israel in partnership with the Jewish Federations of North America’s "General Assembly." 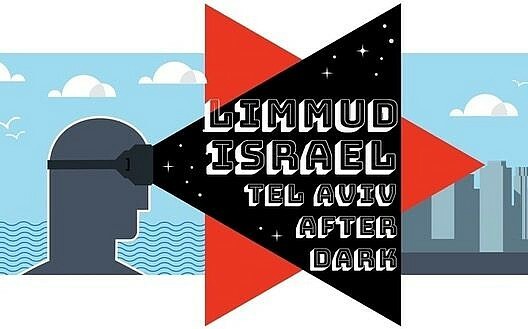 The first ever Limmud Israel event was held at Tel Aviv's Brodt Center for Jewish Culture. An array of Israeli thought leaders and decision makers in politics, media, finance, high tech, and culture offered their visions on the shared destiny of the Jewish people. 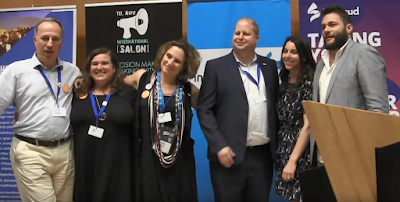 "This launch of Limmud Israel is a momentous event for the Jewish people, convening participants from across the country together with communal leaders from across North America,” said Limmud Israel event chair and president of the Am Yisrael Foundation, Jay Shultz. Each talk revolved around the broad concept of "The Shared Destiny of the Jewish People" and include a Q&A session with the audience. Most of the audience members were Anglo-Israeli citizens, at a greater proportion of dati'im than attending the General Assembly. JooTube.TV chronicled a session in each of the evening's 3 time-slots. Panel : "Torah & Technology - Towards Wealth and Wellbeing" - Michael Eisenberg (Alef VC) and Jon Medved (OurCrowd); moderated by Allison Kaplan Sommer. Limmud Israel — Tel Aviv After Dark was produced in partnership with the Am Yisrael Foundation, Times of Israel, Jewish Federations of North America, Municipality of Tel Aviv-Yafo, Brodt Center for Jewish Culture, Tel Aviv International Salon, White City Shabbat, Hillel Israel, Aleph VC, OurCrowd, Golan Heights Winery, Limmud, Limmud Jerusalem and Limmud FSU. Limmud is a cross-communal, multi-generational, grassroots, volunteer-led international network of communities celebrating Jewish learning and culture. Founded in the UK in 1980, today there are 90 Limmud communities in 42 countries. The Limmud communities in Israel include Limmud Arava, Limmud Galil, Limmud Golan, Limmud FSU Israel, Limmud Haifa, Limmud Jerusalem, Limmud Modi’in, and Limmud Yeroham. (Some text adapted from Times of Israel with thanks). Contemporary, gentrification debates unlock the early history, stories and memories of Boyle Heights revealing the mythical and human dimensions of L.A.’s own Lower East Side during the premiere run of an audience participatory, immersive and theatrical celebration, created and devised by Josefina López, Corky Dominguez and the Remembering Boyle Heights ensemble. 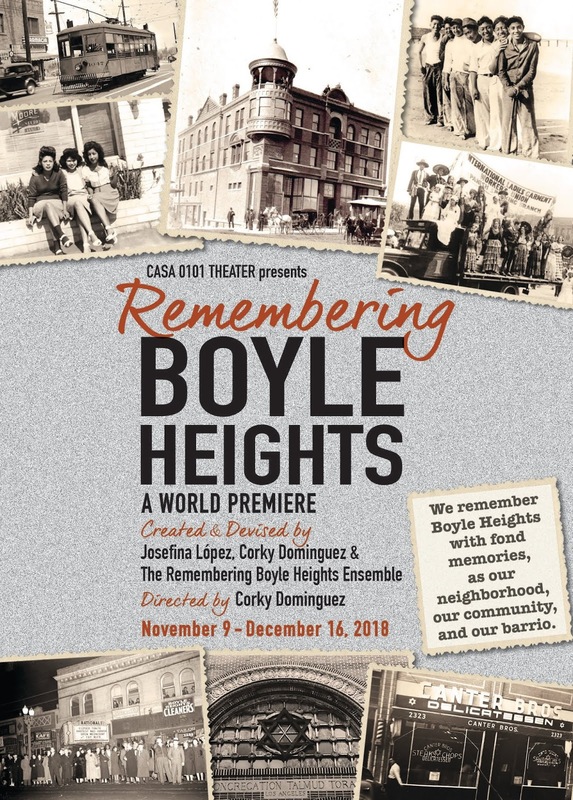 Josefina López, producer and co-writer of the Remembering Boyle Heights said, “The show is a theatrical celebration inspired by the diverse stories, memories and experiences of Boyle Heights, an Ellis Island of the West, from the beginning of the century to right after World War II. 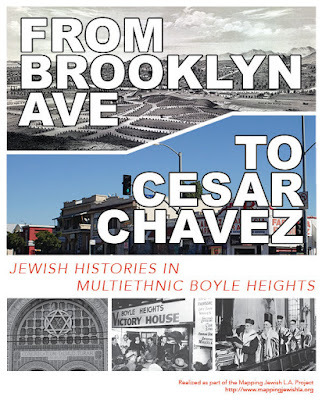 From the turn of the 20th century until World War II, Boyle Heights served as the hub of Southern California's Jewish community. Kosher delis, bakeries and other Jewish businesses dominated Brooklyn Avenue -- now Cesar Chavez Avenue. In the 1950s, the Eastside neighborhood's Jewish population began to decline, with many leaving for West Los Angeles and the San Fernando Valley. ("Event unearths the deep Jewish roots of Boyle Heights" - by Hector Becerra Los Angeles Times May 2018). Under the direction Corky Dominguez (of Boyle Heights), who is also a co-writer of the show, the Ensemble Cast will include: Michael Berckart (of Los Angeles), Joe Luis Cedillo (of El Monte), José Alejandro Hernandez Jr. (of South Central), Yvette Karla Herrera (of Montebello), Ángel Michel Juárez (of Montebello), Megumi Kabe (of Sylmar), Marcel Licera (of Koreatown), Jackie Marriott (of Inglewood), Roberta H. Martínez (of Pasadena), Allyson Taylor (of Valley Glen) and Raymond Watanga (of Glendale). Urban anthropologist, Shmuel Gonzales: "Boyle Heights for many people has been kind of equated to the Lower East Side of New York. A lot of people who had come from New York or the Midwest or Canada who already had established themselves a little bit came to establish their families here. I think that's what's really just remarkable is how many families that came through Boyle Heights. 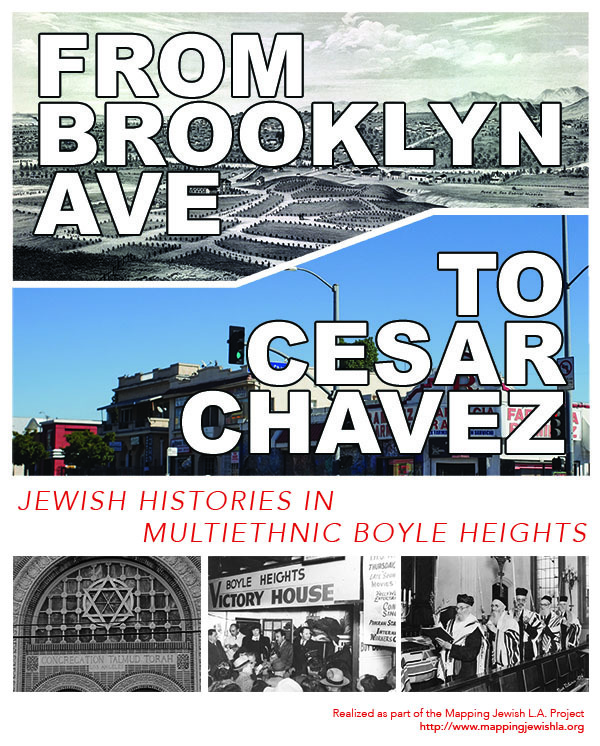 Seventy-five thousand Jewish families came through Boyle Heights in the first half of the 20th century. 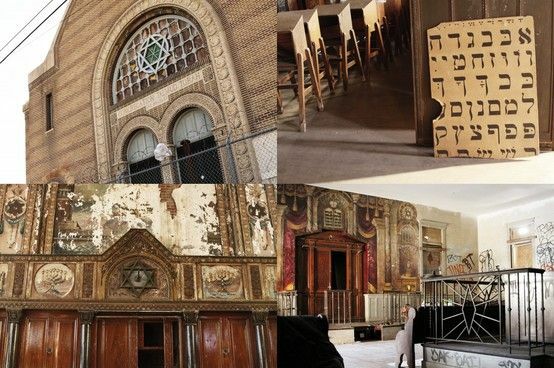 One-third of the Jewish community of Los Angeles was located here in Boyle Heights, making it the largest and most important Jewish community west of Chicago. Allyson Taylor, actress, in role of real-estate developer: "I want to modernize this neighborhood." As herself: "Well (the show) talks about the fact that in Boyle Heights - all people live together. During the 1930's and '40s, during the restrictive era of housing, not only were Hispanics, blacks, and Chinese restricted from buying homes in Los Angeles, Jews were as well." 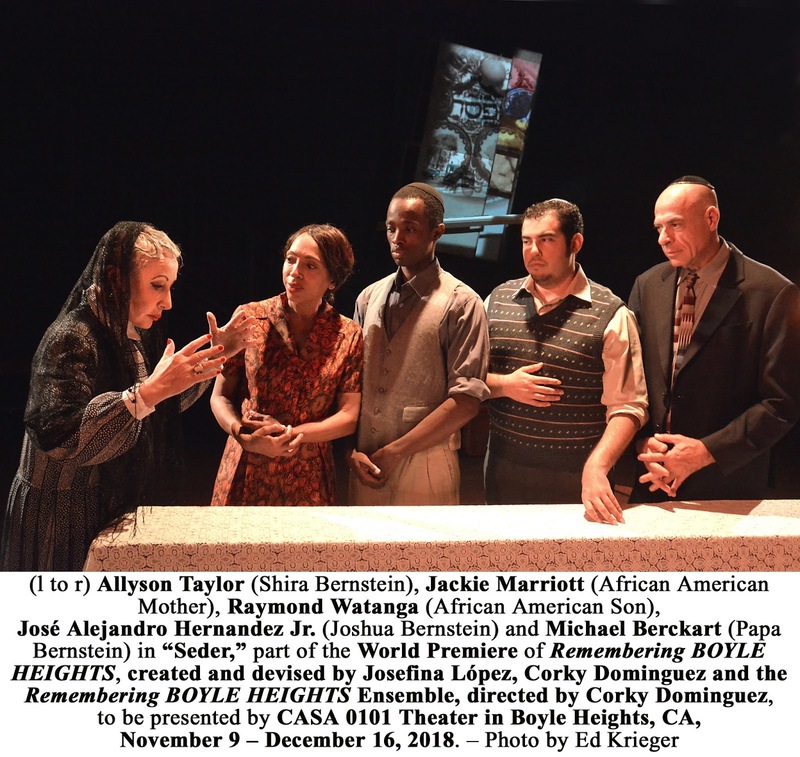 (Scene of early 20th century Jewish family, portrayed by Allyson Taylor and Micael Berckart, of son, portrayed by Jose Hernandez, Jr.) disavowing speaking Yiddish). Jose Hernandez, Jr. actor: "The dynamics of the family with the father, the son, I have found it very natural and very similar to my experience with my father - it's the same argument." (Scene of 20th century Latino family of daughter (portrayed by Yvette Karla Herrera) chiding parents for not speaking English). (Scene of daughter (portrayed by Angel Juarez, telling Japanese mother (Megumi Kabe) about boyfriend she brought home (portrayed by Raymond Watanga). Angel Juarez: "I love him! I know that he's Colored." Angel Juarez: "I didn't realize that there was a Jewish community (ever in my Boyle Heights). I used... there is a store and it has the Jewish Star, the Star of David and I always wondered why - why was it just there - out of nowhere? And when I came here I realized that this used to be a Jewish community! So it just opened my mind to a whole, a new world of Boyle Heights"
Marcel Licera, actor: "Faith and religion took place in Boyle Heights. Whether it took place in a church, in a temple or synagogue, or just in the home." Corky Dominguez: "My experience attending a Seder, I lived with the Jewish family for several years. I brought my mom to it to the one of the Seder dinners. And it was really interesting to me and I knew that I wanted to have something like that story of a Seder and the guests being non-Jewish and to see what that was all about. Because I remembered that experience." Raymond Watanga: "Mt. Carmel Missionary Baptist Church spiritual gatherings with African-Americans for many weeks while Mama and I went to our first Passover Seder that my friend Josh Bernstein invited. It was dinner at the Bernstein's - a Jewish dinner!" Allyson Taylor: "So what we're doing is celebrating the fact that with all the issues of gentrification and the encroachment of the hipsters, and the developers coming into this area, that there was a time when we all lived together and we're hoping that we can bring that kind of feeling back. And not have the kind of tensions that are or have arisen from saying this belongs to me, this belongs to me, it belongs to all of us!" Micael Berckhart: "Everybody went to Canters. Lined with pickle barrels, kosher butchers, bakeries, and delicatessen. The aromas were of corn beef and smoked fish, the smells, the tastes, the sounds of accents of Eastern European accents in Yiddish, the whole feeling was a visceral experience." Corky Dominguez: "We end the show with Hava Nagila at our curtain call. And that just gets the crowd going! Right now the show is scheduled to go until Sunday, December 16th." 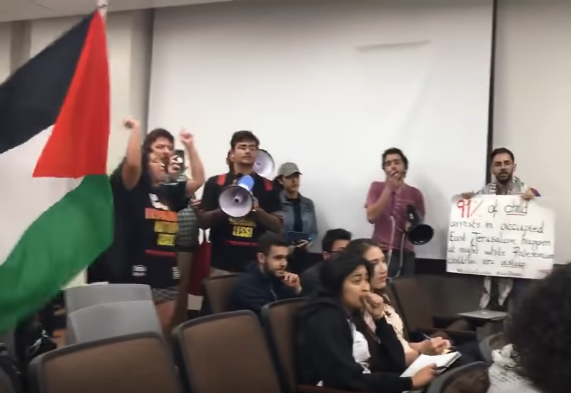 The Islamo-Leftist political movement won a victory in overcoming Los Angeles civic and Jewish objections to University of California at Los Angeles ("UCLA") hosting Students for Justice in Palestine's the National Conference. L.A. City Councilman Paul Koretz and the L.A. City Council appealed to UCLA Chancellor Gene Block to decline hosting the NSJP Conference. Block claimed in a press release he was legally obliged to. However, UCLA denied conservative author, Milo Yianopolous a venue on the same campus. Councilman Koretz explains his perspective in this video interview. Mr. Ali Adi, an Arab-Israeli citizen flew to UCLA with Reservists on Duty to contest the SJP conference and present his favorable life experience as a Muslim-Israeli to those who will listen. 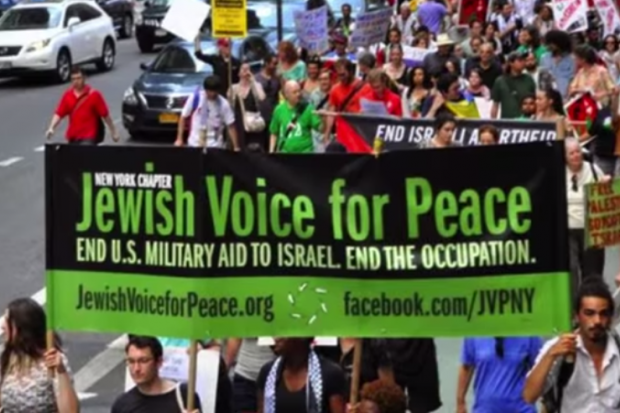 He expresses his view of the SJP movement and their leftist JVP colleagues exploiting Palestinians for political gain. An attempt to chronicle the SJP conference check-in was rebuffed by JVP's Estee Chandler and a representative from SJP. A request for a spokesperson to discuss the conference was declined. Jewish parents protest Muslim SJP-club's bigotry and hostility towards Jewish students on UCLA campus - at SJP's Nat'l Convention hosted at UCLA, 11/18/18. Protesters assert that campus police reverse-discriminating leaves Jewish students vulnerable to potential Muslim/Palestinian-supporters' hostility. Christian-Israeli, Jonathan Elkhoury, explains his experience of Israel as free and just - in contradiction to the national convention of (Muslim) "Students for Justice in Palestine" who advocate overthrow of the Judeo-Christian oasis in the Middle East - at Univ of California at Los Angeles, Friday Nov 16, 2018. Miri Shepher, Board of Directors of the Israeli-American Council said that Israelis like her came down to party with SSI and show support for Jewish presence on campus. Part 2 of interview exclusive with Rudy Rochman. To avenge SJP's busting-up SSI's "Indigenous Peoples United" Event at UCLA in May, leaders of Students Supporting Israel infiltrated the highly-guarded Students for Justice in Palestine conference - to unfurl an Israeli flag on-stage. We interviewed the other avenger, Ilan Sinelnikov, National President of Students Supporting Israel. Mr. Ali Adi, a Muslim-Israeli disputes the intentions and claims of Students for Justice in Palestine (SJP) outside the opening of their 2018 National Convention at University of Southern California (U.C.L.A.) Nov. 16, 2018. Arab-Muslim, Ali Adi, came to UCLA to present an impression about Israel's free society for Muslims (and other minorities) in contrast to the Far-Left/Islamist activist convention of S.J.P. being held on the UCLA campus. Mr. Ali Adi was the guest of the Univ of Calif club, Students Supporting Israel, who have been menaced in the past year by the anti-Israel activist, Students for "Justice" in Palestine on California campuses. Islamo-Leftist activists have garnered power by scapegoating "colonial Zionists" for impeding Palestinian sovereignty. The global exposure of Palestinian "sufferage" at Israel's hand (typically provoked (or faked) by kleptocrat, Palestinian politicians) vilifies Jews all around the world. Anti-Israelism is so strong in liberal Ireland, for example, that their capital city which once elected a Jewish man Mayor of Dublin, that much of Ireland's Jewish population preceded France's Jews in emigrating from Europe. 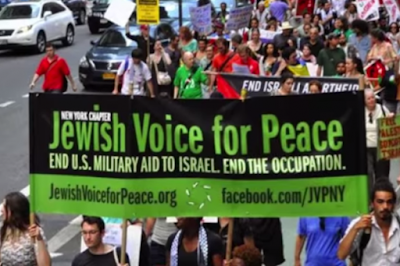 North Americans are now fighting in common cause with European Jewry against Leftist anti-Semitism cloaked in anti-Israelism, particularly noticeable on-campuses.